New machining technologies and manufacturing methods call for the development of new solutions in clamping technology. The Jergens 5-Axis Compact Vise, with its short base and easy movement of the fixed jaw, is ideal for 5-sided machining. 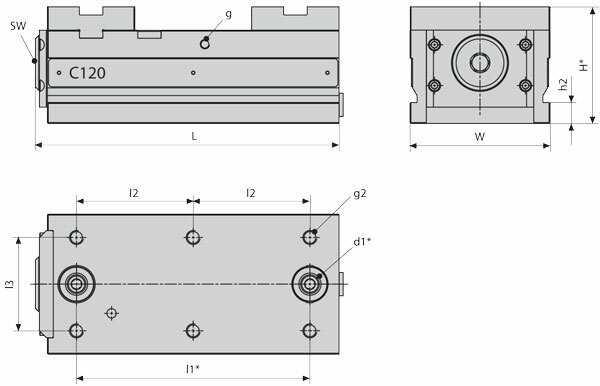 The well balanced design of the guide between the base and the moveable jaw allows the use of high clamping jaws, for performing machining operations close to the workpiece. The base is made from cast steel for rigidity and dimensional stability. All sides are hardened and ground. *kg x 2.205 = lbs., Nm x 8.85 = in-lbs.